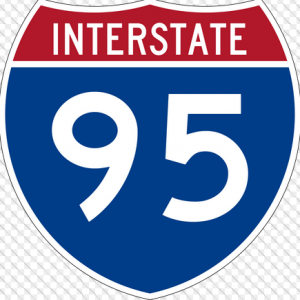 Two-Vehicle Car Crash On I-95 Killed Two And Injured Five | Schuler, Halvorson, Weisser, Zoeller & Overbeck P.A. Two people were killed in a fiery crash on Interstate 95 in Palm Beach County, police authorities reports. Florida Highway Patrol said the crash happened on I-95 northbound just before Exit 3A in Palm Beach County. A car that was headed northbound slammed into the barrier that divides the southbound and northbound lanes, troopers say. The vehicle ricocheted and burst into flames as it crashed into the driver’s side of a Toyota Corolla. One victim was pronounced dead at the scene. A second male victim was taken to Delray Trauma Center. His condition is not immediately known. The driver of the Toyota Corolla was also severely injured. Crews transported him to Wellington Regional Medical Center where he was pronounced dead. The cause of the crash is still under investigation. Officials believe it is possible that the driver suffered a medical episode, which caused him to lose control of the vehicle before crashing into the Toyota Corolla. Three other passengers from the Toyota Corolla sustained minor injuries. They were later reported to be in stable condition and released from the hospital. The northbound lanes were shut down as troopers responded to the area. One lane of traffic was getting by. Driers are advised to take Northbound Boulevard as alternates. Alcohol may have been a factor in the accident, authorities say.